The new Generation III has improved formulation giving the skin more hydration and brightening benefits as well as helping to soften those fine lines with the power of Hyaluronic Acid, CoEnzyme Q10 and Peptides to regulate hydration and protect the skin from external factors. Strengthen your skin's protective barrier from external pollutants, while hydrating your skin for a youthful healthier looking skin. Apply a small amount to your fingertips and gently massage on cleansed face and neck. Finish by patting the product under your eyes and finish with your favourite moisturiser. 10ml. 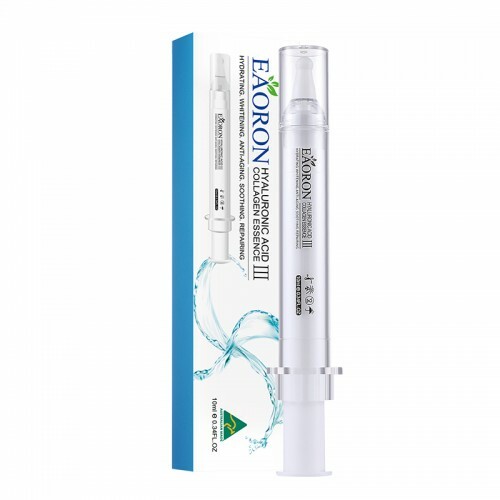 Injection-like tube is packed in a foil to retain freshness and packaged in a box.